Gangehi is a small Island resort in the North Ari Atoll, a simply peaceful retreat on a private Island of paradise, shut off from the rest of the world. Perfect for honeymoons and romantic getaways soak in the relaxing serenity as the turquoise water encompasses the Island. Spoilt for choice with 40 luxurious accommodations, the deluxe bungalow perched over-water with stairs leading down to the sea is a rarity; it offers 10-20 metres of private beach and sunset and sunrise views. 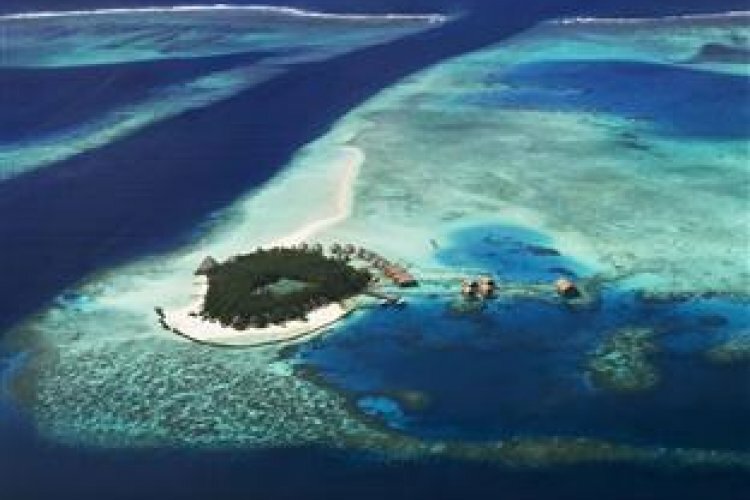 Each Bungalow is decorated in Maldivian style complete with a large veranda. The Gangehi also has a Garden bungalow and club room. With 7 types of board basis available this exclusive resort is suitable for all. There are many activities to try, for those exhilarating moments experience snorkelling up close and personal with tropical fishes and sea turtles, main attraction being diving to see the manta rays and White sharks, or a treat indulging in a massage or spa treatment. If wanting to briefly break away from the tranquillity for some stimulation, a few water sports, a session in the fitness centre or one of the many excursions is the perfect antidote. Gangehi has the Veli restaurant which serves a buffet of European and local cuisines for breakfast, lunch and dinner. Thari over-water restaurant and bar has an open plan kitchen and a la carte dining, ideal for those romantic candlelit dinners.